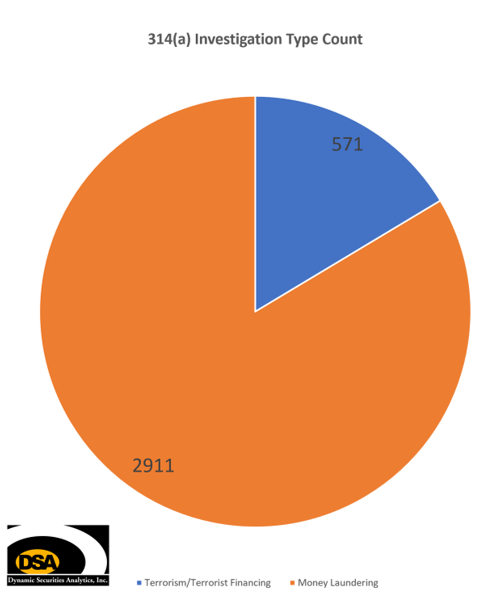 FinCEN recently released stats on the 314(a) information request program. FinCEN stated that over 16,000 financial institutions are contacted every two weeks with new subject names provided by federal, state, local and foreign law enforcement of persons who may be involved in money laundering or terrorism. 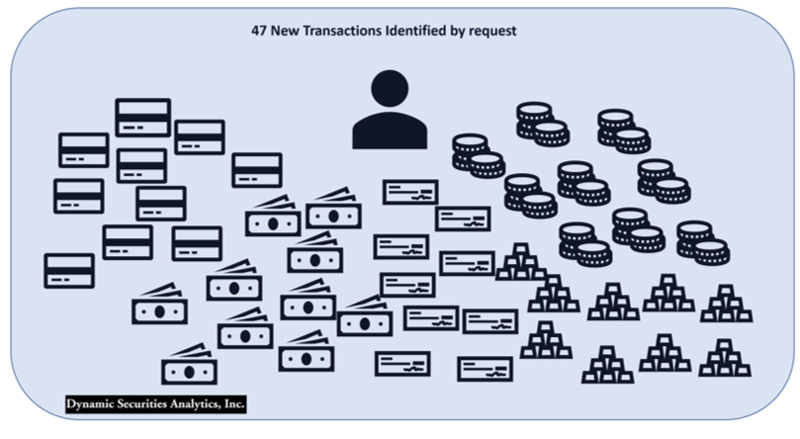 The requests contain subject and business names, addresses, and as much identifying data as possible to assist the financial industry in searching their records. The financial institutions must query their records for data matches, including accounts maintained by the named subject during the preceding 12 months and transactions conducted within the last 6 months. Financial institutions have 2 weeks from the posting date of the request to respond with any positive matches. FinCEN reports that it has processed 3,482 requests. Dynamic Securities Analytics calculated that 16% of the requests were Terrorism or Terror Finance related. For comparison, less than one-tenth of 1% of all SARs filed in 2017 were terrorism-related.a When FinCEN reported 314(a) stats in 2007, terror-finance accounted for 34% of requests. FinCEN also detailed the impact of 314(a) requests. 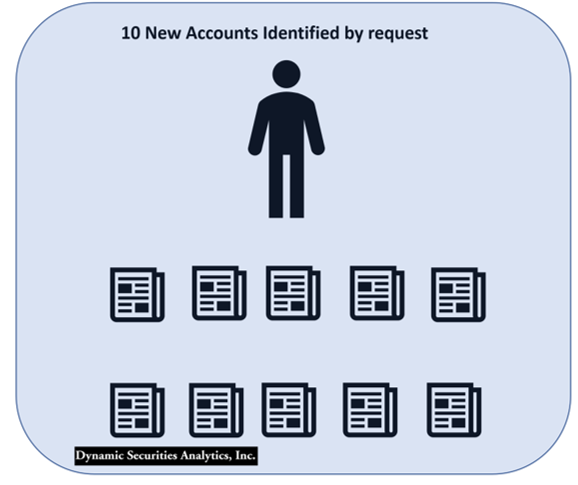 Law enforcement reported that 10 new accounts and 47 new transactions were identified per request. The latest figures indicate significant increases from 2007 levels when 3.5 new accounts and 5.2 new transactions were identified per request. Recall that financial institutions are required to query their data for transactions within the last 6 months involving the subject, even if the subject is not a customer or account holder. One interesting point of comparison is that in 2007 FinCEN reached out to 27,000 financial institutions while in 2018, FinCEN only reaches out to 16,000 FIs. This 40% decrease in FIs could be reflective of the consolidation of banking and financial services after the market collapse of 2008. Read DSA’s analysis of 314(a) SAR reporting. a – Dynamic Securities Analytics calculation using 2017 FinCEN SAR Stats. 14% of 314(a) requests involved terrorism or terror-finance from 2007- January 2018.